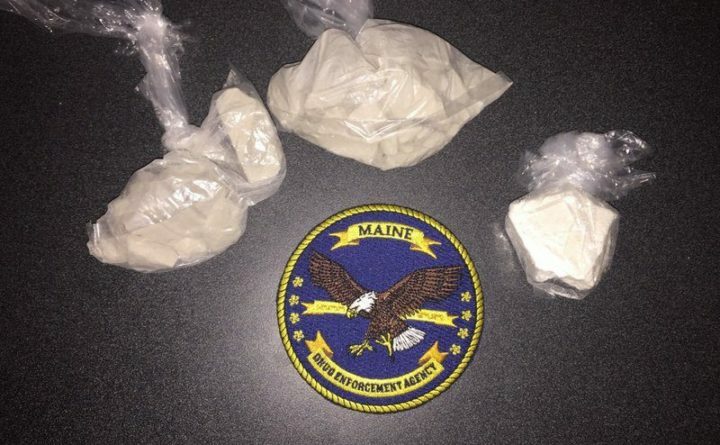 Maine Drug Enforcement Agents and Wilton police busted two men who were allegedly in possession of $40,000 worth of crack and heroin. Drug agents arrested two people on Tuesday suspected of funneling $40,000 of heroin and crack cocaine from New York to Maine, authorities said. At 3 p.m. Tuesday, Maine drug agents and members of a state police task force arrested Jeffrey Brown of Wilton and Rashawn Brown of Harlem, New York, during a traffic stop in Auburn, Maine Drug Enforcement Agency Cmdr. Scott Pelletier said. The men share a last name but are not related, he said. After searching their car, agents seized 129 grams of heroin and 33 grams of crack cocaine, which have a street value of about $40,000, Pelletier said. Their arrests followed a 2-month-long investigation by Maine drug agents and Wilton police into drug trafficking in Greater Wilton, he said. Agents believe Rashawn Brown traveled back and forth from New York to purchase drugs, then sold them from a series of local hotels in Maine, he said. The men face a slew of felony drug charges, including one count each of aggravated trafficking of schedule W drugs, for heroin, a Class A crime. They made their first court appearances in Lewiston District Court on Wednesday. They are both being held at the Androscoggin County Jail in Auburn on $50,000 cash bail, Pelletier said.